In the Russian village Chirka all eyes are currently focused on a … lamb. The animal was born with a ‘human face’, the neighbor is even talks of an “angry old man with a big nose”. 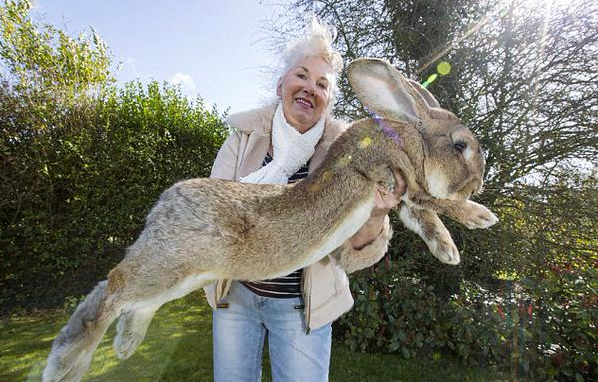 World’s largest rabbit gets competition from own family. Jeff has only twenty centimeters left to beat the record of his father Darius (1m30). And the young boy still has six months to grow. Lenny's last smile before soiling his best hunting pants.